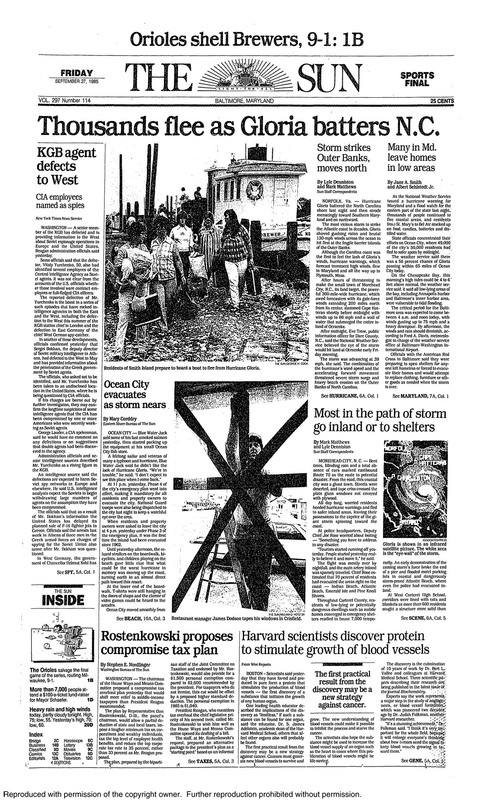 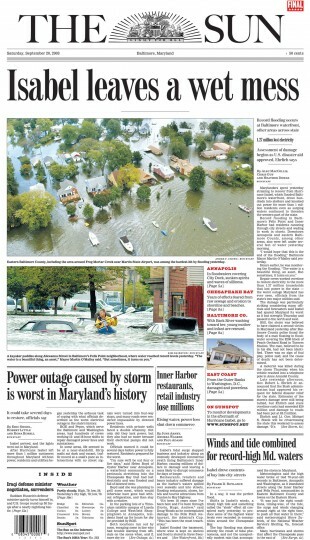 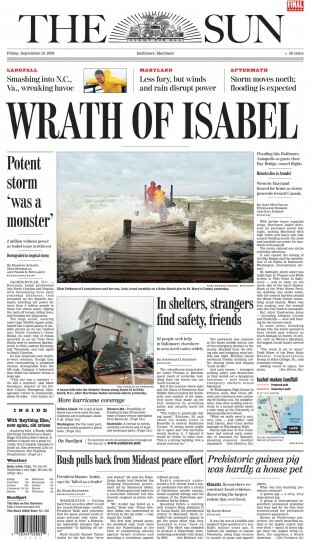 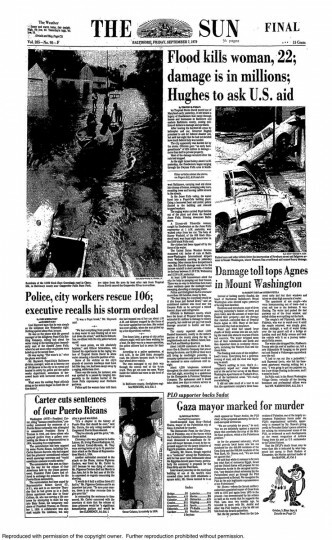 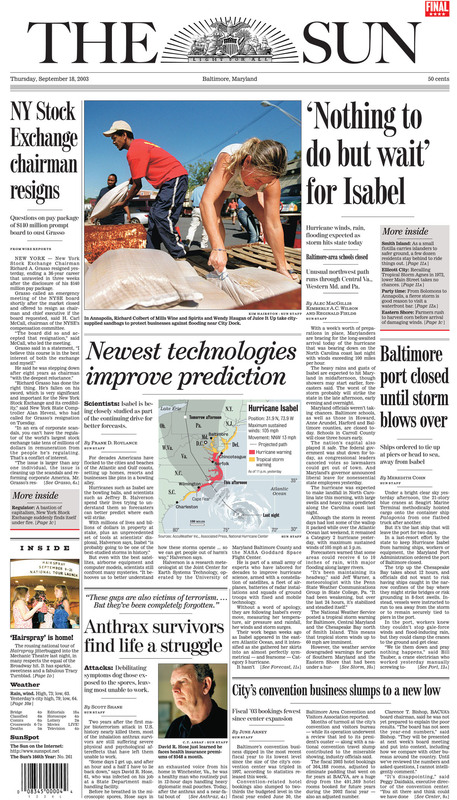 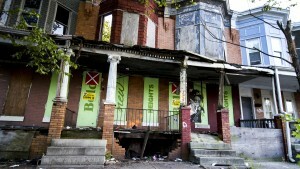 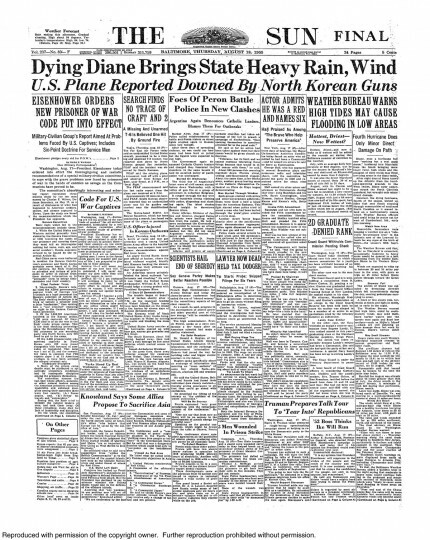 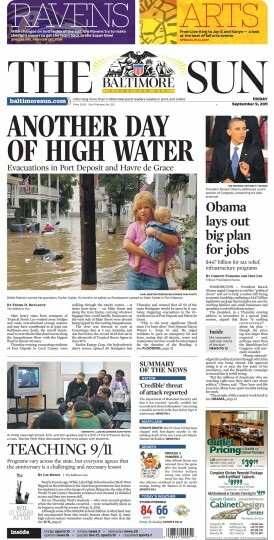 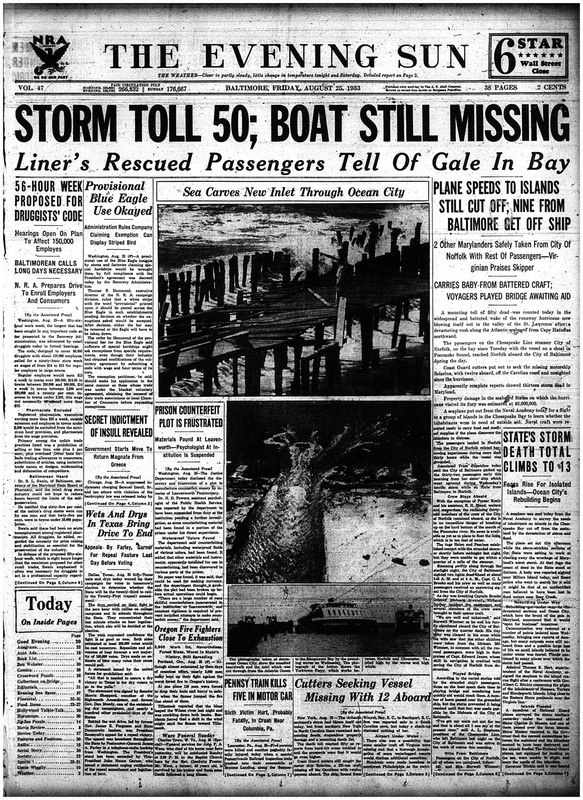 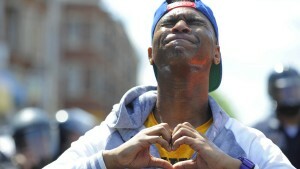 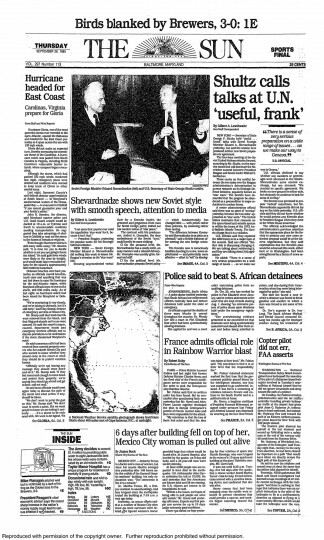 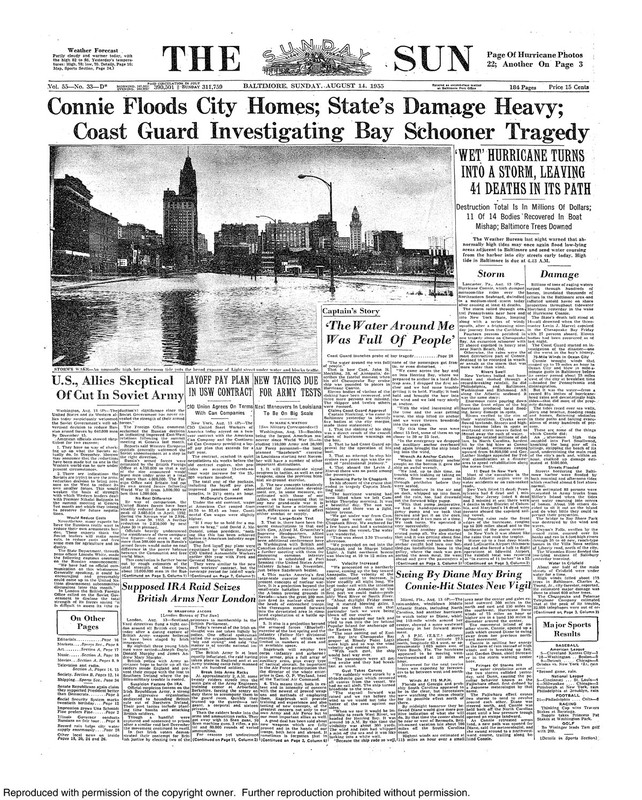 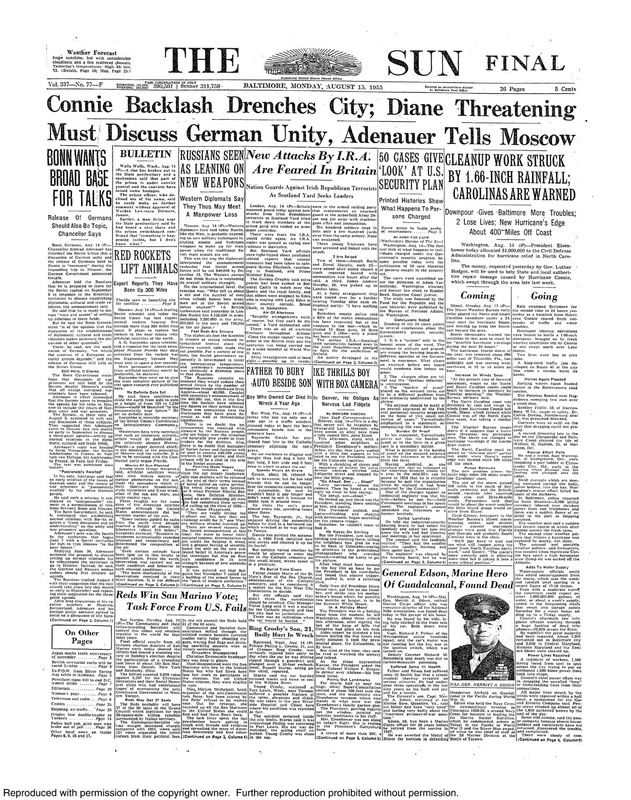 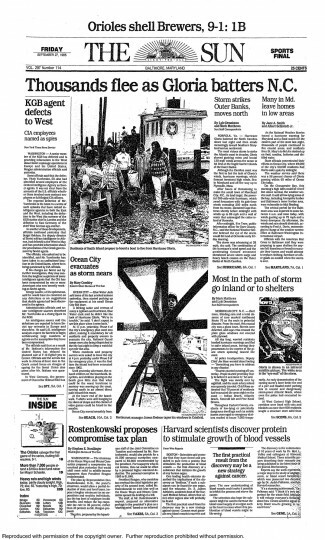 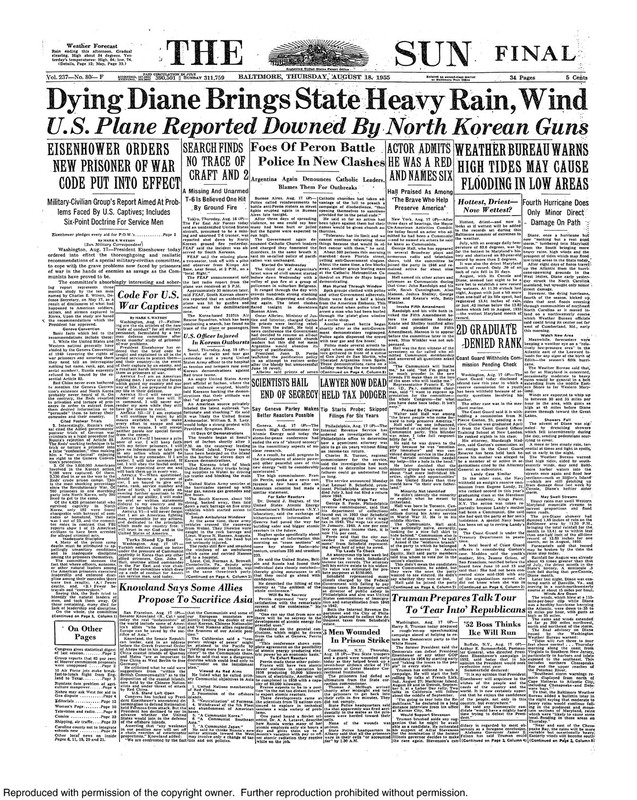 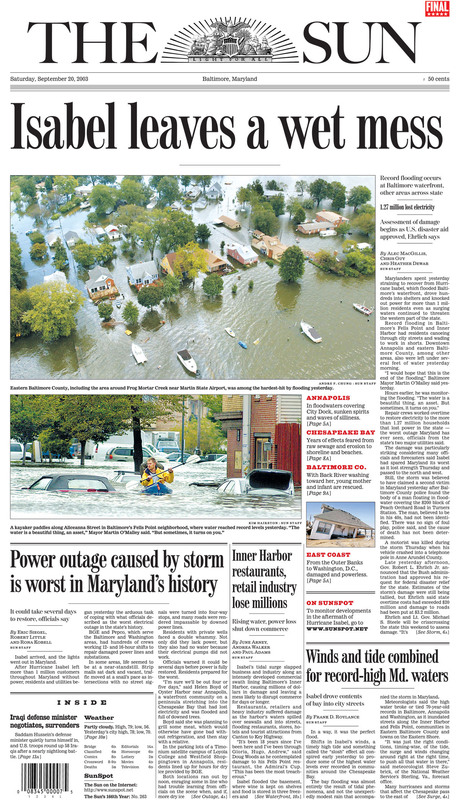 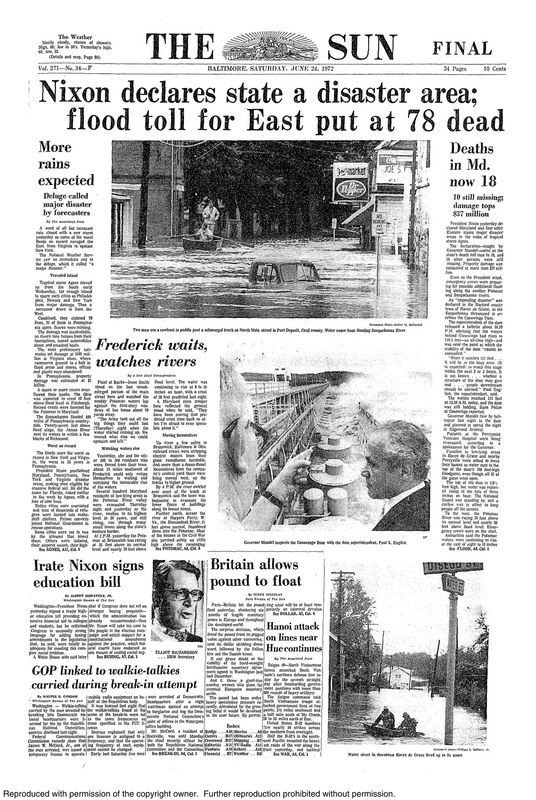 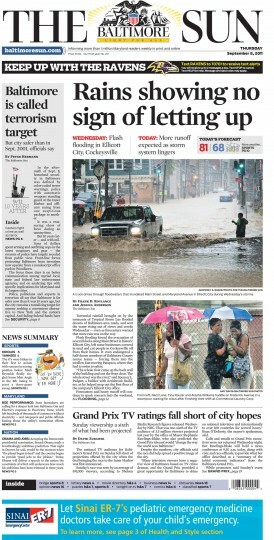 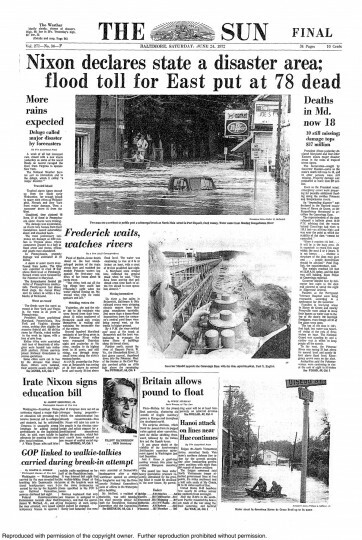 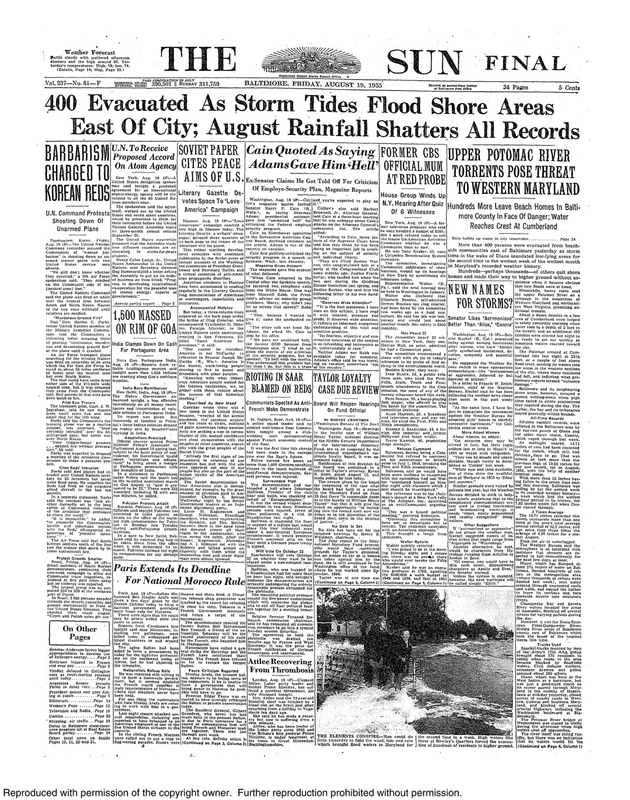 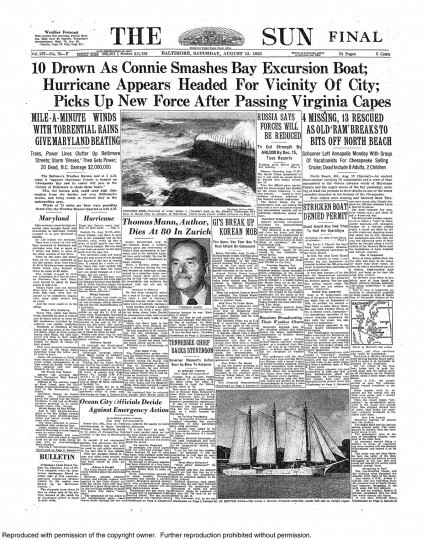 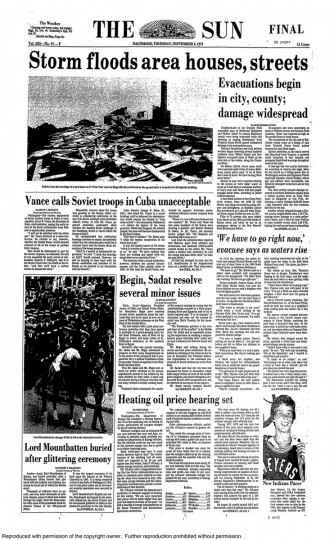 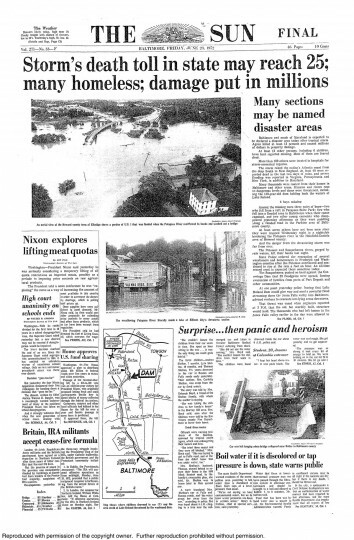 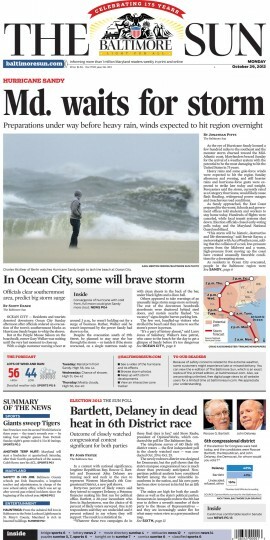 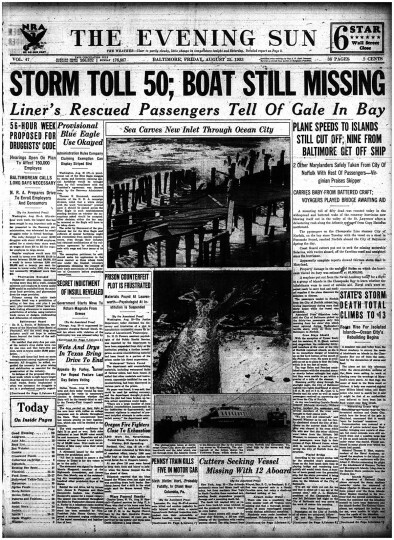 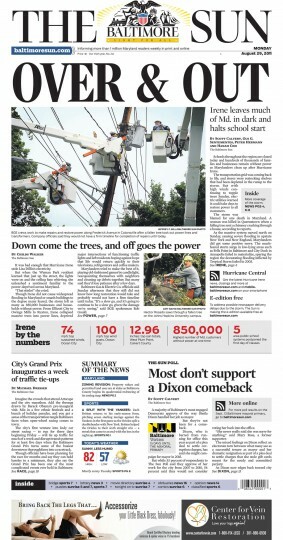 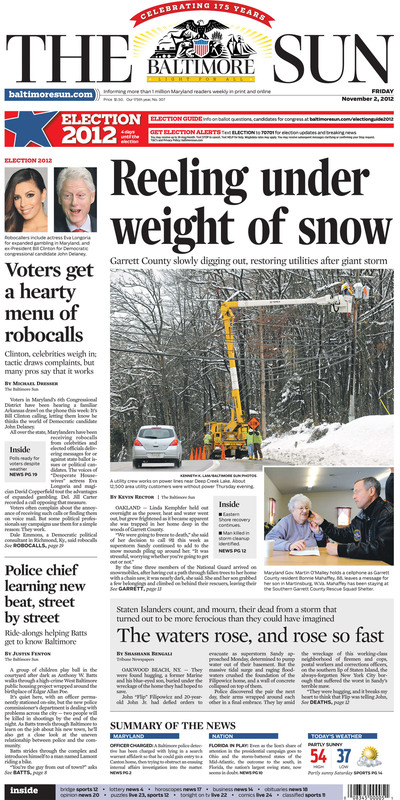 See Sun front pages of past hurricanes that impacted the Baltimore-area. 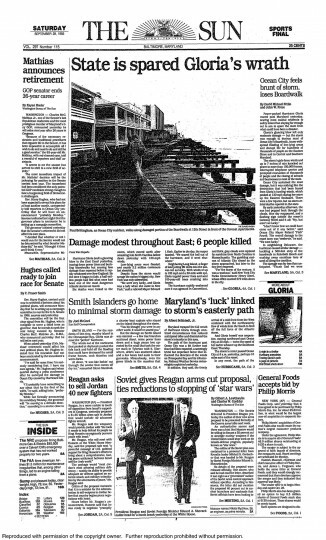 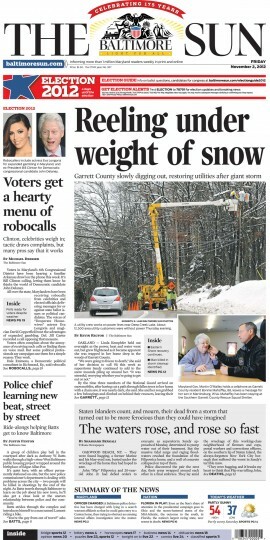 Click or tap on the images for full-screen views of the front pages. 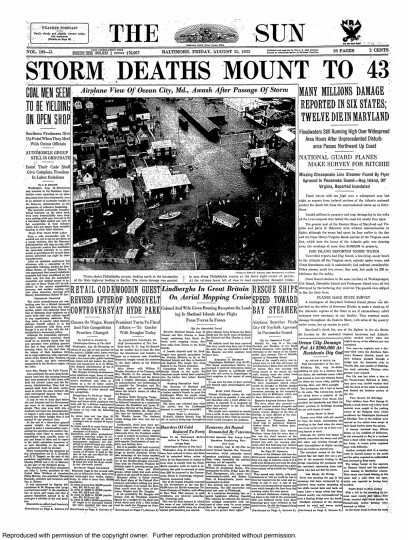 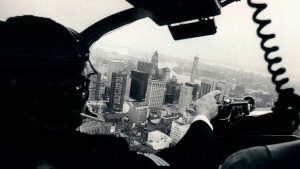 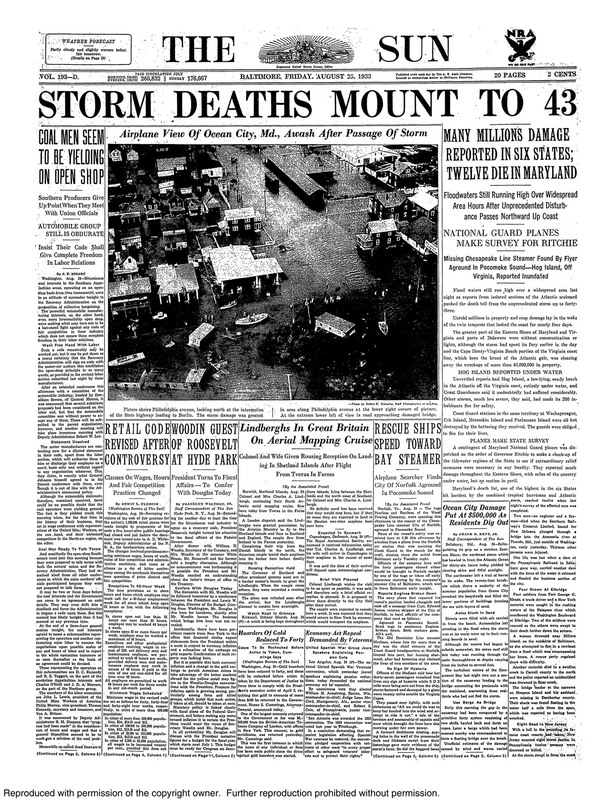 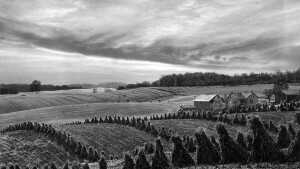 September 27, 1985 – Thousands flee as Hurricane Gloria batters N.C.
August 25 1933 – Millions of damage reported in six states, 12 die in Maryland.